Please visit our bug tracker on google code for a list and current status of known bugs, or to report bugs: http://code.google.com/p/keyvis-dev/issues/list kyvis Commands are open source and can be checked out from google code via Subversion. If you have scripting and/or C++ coding experience, please feel free to contribute to the project by adding features or fixing bugs. 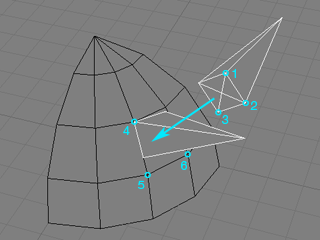 This Command mimics the 3ds max Symmetry Modifier. First it creates a Curve Rectangle of the size of the selection BBox, then applies a Slice and a Symmetrize Op to the selected polymeshes and links their Custom Planes to the Rectangle. The rectangle can now be used to define the symmetry plane. Since the factory Symmetry Op does not have a convenient option to link it’s symmetry plane to an object (as the Slice Op does), SCOPs are needed on the Symm Op’s Custom Plane’s posx, posy, posz, rotx, roty, rotz parameters. Note: this does not circumvent the problem in Softimage that you cannot work beneath Topology Operators in the Operator Stack and see the end-result live. – Select one or more object(s). 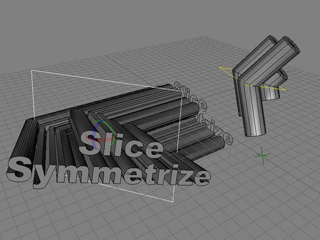 – Model > Modify > Poly.Mesh > SliceSymmetrize. Align object(s) to another one by defining source and target plane to match. – Pick 3 source and 3 target points. 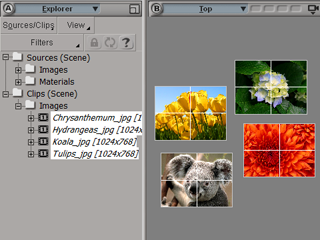 This Command creates a Grid Primitive for each selected Image Source, with the correct proportions, Constant Shader and Texture Support.